he had in 1978 of a woman with a dolphin, he was inspired to sculpt and to commit his life to marine mammal awareness and protection. Although much of his sculpture is of sea mammals, he often combined them with humans to express our essential inter-relationship. Bud's unique artistry captured their playful spirit in everlasting bronze. In particular, his admiration for the intelligence and beauty of dolphins and whales inspired his work. 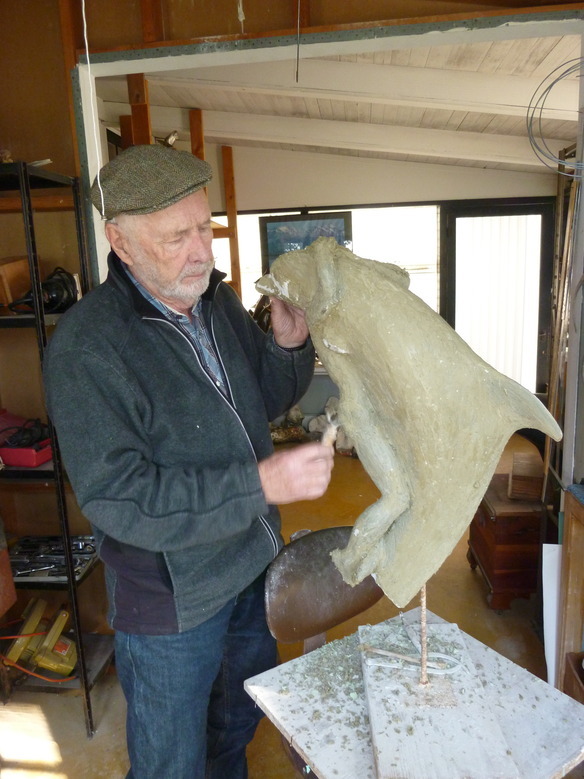 Bud would often use his grandchildren as models frolicking with dolphins, sea lions, and turtles; they express the joy he would achieve in bronze. His fascination for and love of Earth’s creatures lead him to sculpt snails to condors, wherever he found beauty. 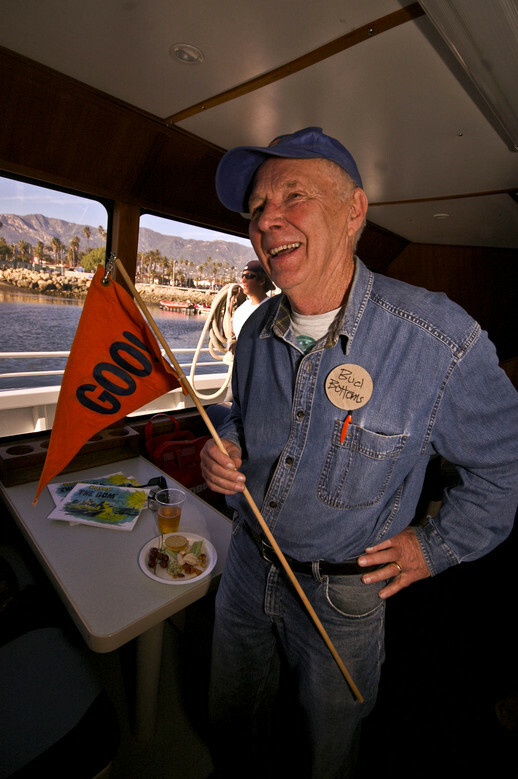 Bottoms became a committed environmental activist in 1969, when Santa Barbara experienced a human caused oil blowout which polluted the ocean and devastated the local beaches, killing sea birds and marine life. In addition to other local environmental protection projects, he was active with Earth Island Institute in the early ‘90s when it first established Save the Dolphins Project, which was created to protect dolphins from tuna netters, and it was then he also learned of the dolphin slaughter occurring in Taiji Cove, Japan. He believed it is our responsibility to help save marine mammals, and in turn they help save us by educating us about the importance of protecting them and their environment. 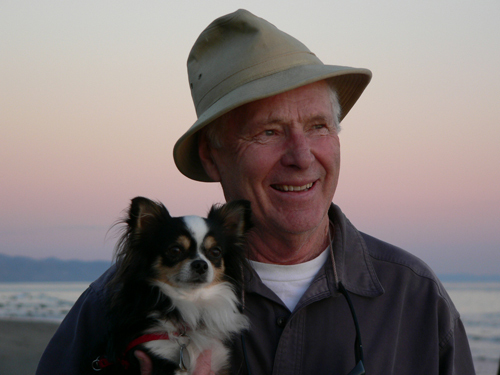 Bud believed we must help preserve the earth for its own sake and for future generations, and he won numerous awards in recognition of his art and his contributions to protecting the oceans. Paul Watson of Sea Shepard, Ric O’Barry of Earth Island Institute, the Greenpeace crew of The Rainbow Warrior, Jacques and his son Jon-Michel Cousteau, Mikhail Gorbachev of Green Cross International, and Ted Danson of American Oceans Campaign are recipients of Bottoms’ bronze dolphin sculptures. California, Mexico, Hawaii, Florida, and Massachusetts. For more information, contact budbottoms@aol.com.